When Dante meets Virgil in the first canto of the Inferno, he identifies the classical poet with the material book through which he came to know him, which he calls a “volume” [volume]. Given Dante’s interest in the physical features of books from the first paragraph of the Vita nuova to the last canto of the Paradiso, this passage raises the question: what did Dante’s copy of Virgil’s “volume” look like? It is not likely that Dante would have access to a lush, Late Antique copy such as the Vatican Virgil with its illustrations of several scenes from the poem. Indeed, the copy that scholars have identified on the basis of textual evidence—Florence, Biblioteca Medicea-Laurenziana, Ashburnham 23—may not be as visually exciting, but it is just as fascinating, because it contains musical notations (or “neumes”) for five passages of poem. 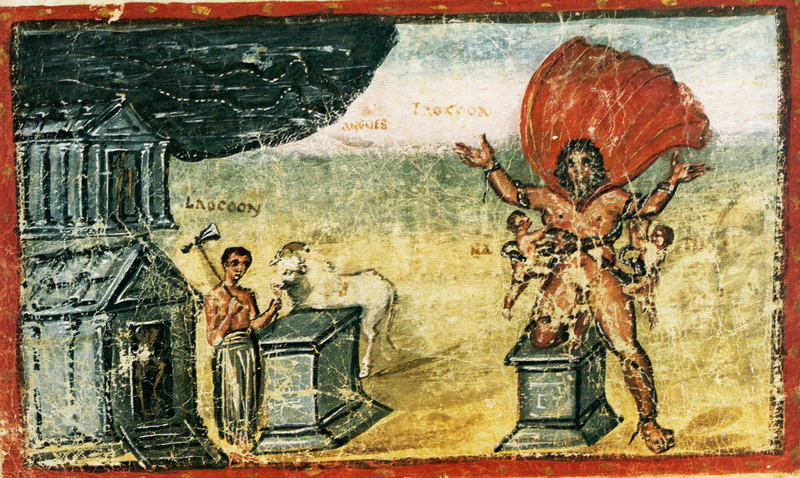 Laocoon on the dangers of Greeks bearing gifts (Aeneid 2.42-50), with special mention of Ulysses as trickster, which may inform elements of Dante’s representation of Ulysses in Inferno 26. Aeneas’ vision of Hector whose body still the scars of battle (Aeneid 2.274-86), which suggests interesting parallels to consider for Dante’s discussion of aerial bodies and somatomorphic souls in Purgatorio 25. Dido’s lament upon seeing Aeneas’ left behind clothing (Aeneid 4.651-58). 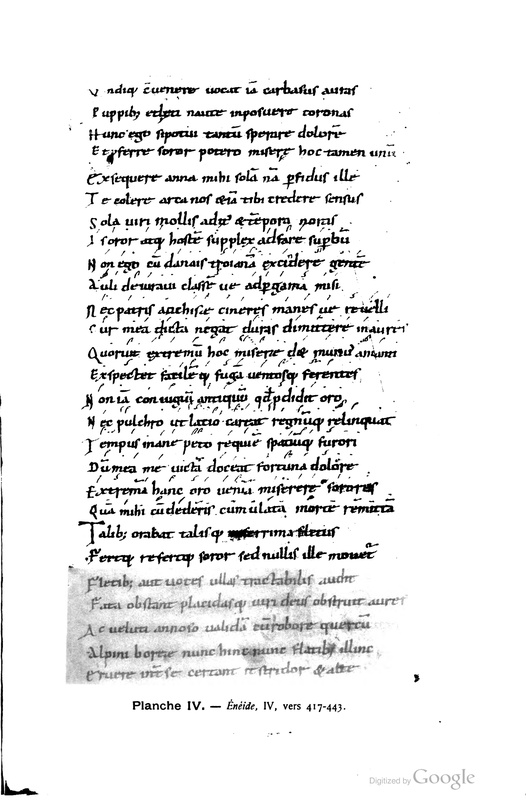 The first four passages are all neumed in other manuscripts, such as Munich, Bayerische Staatsbibliothek, clm 21562, so these episodes are prominent in the medieval reception of Virgil more broadly. Dante uses Virgil throughout the Commedia to structure and populate his description of the otherworld, to guide the behavior of other poets such as Statius, and to accompany the re-appearance of Beatrice in the earthly paradise. To the well-known episodes of Charon, Cerberus, and so on, we can add these scenes that were highlighted in Ashburnham 23. Whether or not Dante knew what these neumes meant is perhaps an open question. His reflections on music are several but elusive. What we can say is that the question of what Dante’s volume of Virgil looked like opens up new avenues for future research.